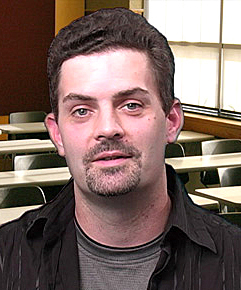 Associate Professor and Chair of Mathematics, Computer Science & Software Engineering, is also the faculty advisor for the William Lowell Putnam Exam team and organizes the department Research Colloquium. Dr. Boats teaches courses in Mathematics and Math Education, and conducts research in numerous areas of science, most notably in Graph Theory. His work has applications to communications networks, circuit design, cryptography, and intelligence. He was conferred with the title Doctor of Arts in Mathematics by Carnegie Mellon for his dissertation, "Linear Algebra Textbook Implementing Instructional Technology" (1999). He also has a Master's degree in Applied Mathematics from Carnegie Mellon (1993), and two Bachelor's degrees from St. Bonaventure University, in Mathematics and Physics. Ms. Wilson provides reference service and research skills classes as well as serves as the Interlibrary Loan Coordinator. Her subject areas include: Architecture; Community Development; Computer Information Systems; Digital Media Studies; English; Information Assurance; Mathematics; Software Engineering; and Sustainable Communities. Ms. Wilson holds a B.S. from Michigan State University and a M.L.I.S. from Wayne State University.